Silver Stag Head candle. 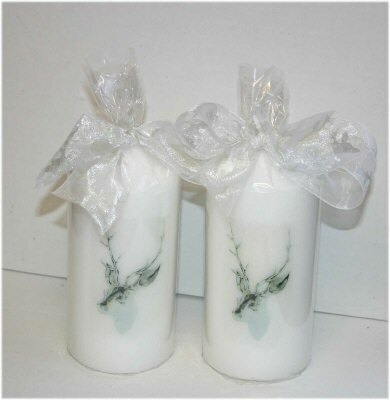 Various sizes of candles to choose from see drop down list for sizes and prices. Gift wrapped with white/silver organza ribbon. For burn times see product information pages. Price is for one single candle only.